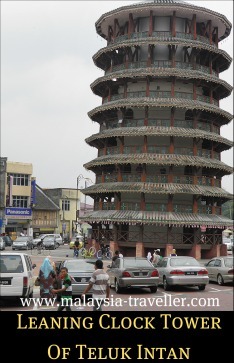 The Teluk Intan Leaning Tower can be abbreviated as TILT and that is what it does! 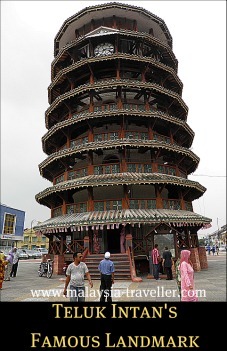 This 25 meter high tower in the small Perak town of Teluk Intan is Malaysia's answer to the Leaning Tower of Pisa. It is not as old, nor as tall, nor as famous as its Italian counterpart but it does have a distinct incline and that makes a curiosity worth visiting. 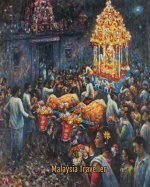 It was constructed in 1885 by Mr. Leong Choon Cheong and some Ceylonese contractors. It was built primarily to store water for local usage during the dry season and in case of fire. Since it began leaning over due to soft soil foundations it has become a tourist attraction. 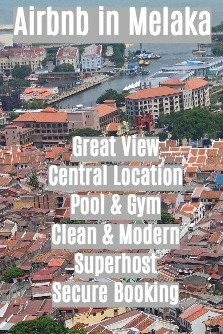 It is a 3 storey brick construction with a large steel water tank at the upper level. From the outside however it has been disguised to look like an 8 storey Chinese pagoda. 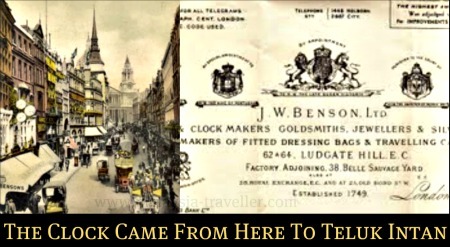 Local people contributed to buy the clock from James W. Benson, Turret Clock Makers of Ludgate Hill, London. It still works and chimes every 15 minutes. The second floor of the tower was used by the Scouts in 1940. From 1977 to 1992 it was used as a branch of the Family Planning Board. It must have been to strange to work in an office with a sloping floor. I found it slightly disconcerting to walk on such an obviously tilting surface and I remember thinking that one day this building is going to topple over - please let it not be today! Now that the water tank is no longer used and is empty, the building must be much lighter than it was designed to support and hopefully it will remain upright for many more years to come. 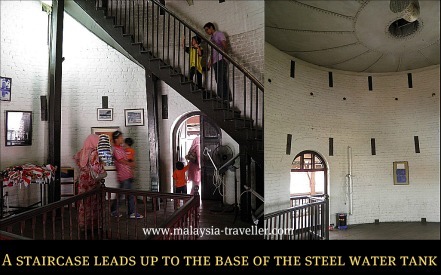 The Tower is marked on the map on the Top Perak Attractions page. As you approach the town of Teluk Intan you will see plenty of signposts showing the way (Menara Condong in Bahasa). There is a lot more to see in Teluk Intan. Refer to my Teluk Intan Attractions page for details.